Betty Meredith, CFA, CFP®, CRC®, is a leading voice on retirement planning for the middle mass and mass affluent markets. She is the Director of Education & Research for the International Foundation for Retirement Education (InFRE), whose purpose is to increase the retirement readiness of the American worker through professional retirement certification and continuing education, and the Managing Member of the International Retirement Resource Center. With close to $6.5 trillion in IRAs and the average 401k balance at $224,000 for those around age 60, there are a lot of people who need retirement decision-making help! Betty Meredith has 30 years experience in financial services, over twenty of those years in employee, client, and professional retirement education with major financial services companies and employers. As InFRE’s Director of Education & Research, Betty oversees incorporation of research findings and best practices into InFRE’s retirement certification study, newsletter, and professional continuing education programs in order to help retirement advisors and counselors more effectively meet the retirement preparedness and income management needs of clients and employees. 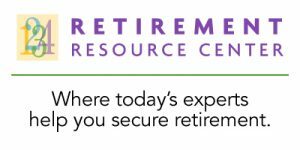 As Managing Member of the International Retirement Resource Center, Betty brings retirement planning and income management training to retirement professionals in the public and private sectors. Betty Meredith is a Chartered Financial Analyst (CFA), Certified Financial Planner® (CFP®), and Certified Retirement Counselor® (CRC®). She earned a B.S. in Finance from Wayne State University. Betty is a long-time member of the Society of Actuaries multi-disciplinary Post Retirement Needs and Risks committee, the Profit Sharing/401(k) Council of American (PSCA), International Foundation for Employee Benefit Plans (IFEBP), the CFA Institute, the Society of Financial Services Professionals, and other professional associations. Betty regularly participates in applied research studies with the Society of Actuaries, LIMRA, Mathew Greenwald & Assoc, Texas Tech University and other organizations. Best practices are then incorporated into InFRE’s retirement certification study and the IRRC’s professional continuing education programs in order to help retirement advisors and counselors more effectively meet the retirement preparedness and income management needs of clients and employees. The Stage is Set for Serving the Mid-Market. Please see Betty’s LinkedIn profile for an exhaustive list. Read a summary transcript of Betty Meredith’s presentation The Stage is Set for Serving the Mid-Market in the 2nd Qtr 2014 issue of “Retirement Insight and Trends”. Have Betty Meredith speak at your event! Betty Meredith is an experienced speaker and keynote presenter on topics pertaining to retirement and the aging Boomer population. Please contact us today via email or phone 847-686-0440 x102 if you would like to have Betty present at your conference or appear at one of your events, or to receive a free voucher to view a sample of one of our speaker’s work.